Hat Yai Junction is major train station in Thailand and a hub for travel from the Southern Provinces and Malaysia onto Surat Thani, Bangkok and islands in the Andaman Sea such as Koh Lipe. Hat Yai is the main connection point between the railway and bus services heading South towards Malaysia and Singapore. Hat Yai Train Station is 928 km from Bangkok Train Station. The Southern Line splits at Hat Yai with one branch heading towards Padang Besar on the border with Malaysia and the other branch continuing South to Sungai Kolok. Hat Yai is in the centre of the city but 2.9 km from the main bus station. Both the SRT (State Railways of Thailand) and KTM (Malaysia Railways) operate services from Hat Yai Train Station. There are 5 trains a day from Hat Yai to Bangkok. There are 6 trains a day from Hat Yai to Sungai Kolok. 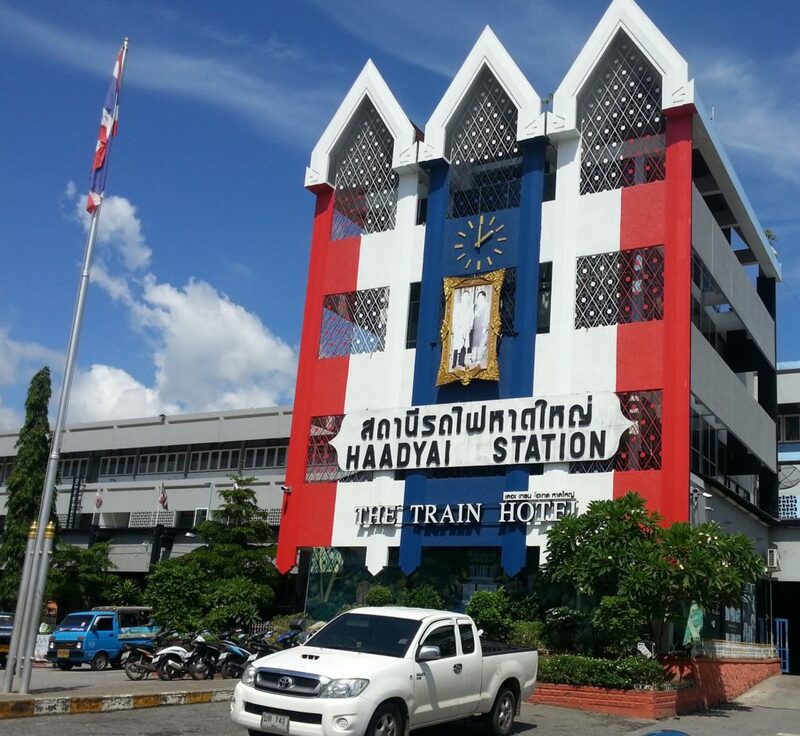 Hat Yai Train Station has 6 platforms and a wide range of facilities. This is a large and busy train station with parts of the station building let to private businesses. 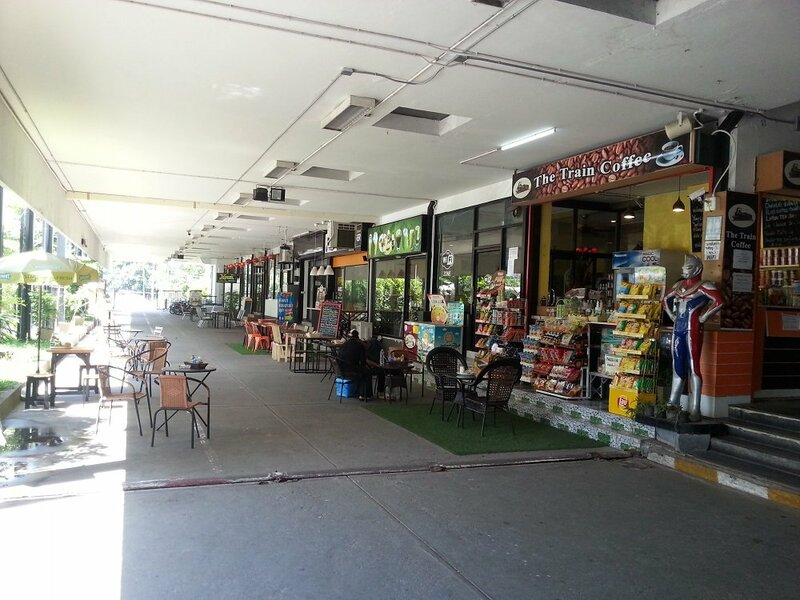 The station is also very close to the city centre shopping malls and major hotels such as the Lee Gardens Plaza. 2 x sets of Toilets (one privately operated with showers). Ticket Counters for Same Day Travel inside the station building. Advance Ticket Counters on Platform 1. Arcade of shops and restaurants on Platform 1. Variety of inexpensive food stalls on Platform 1. 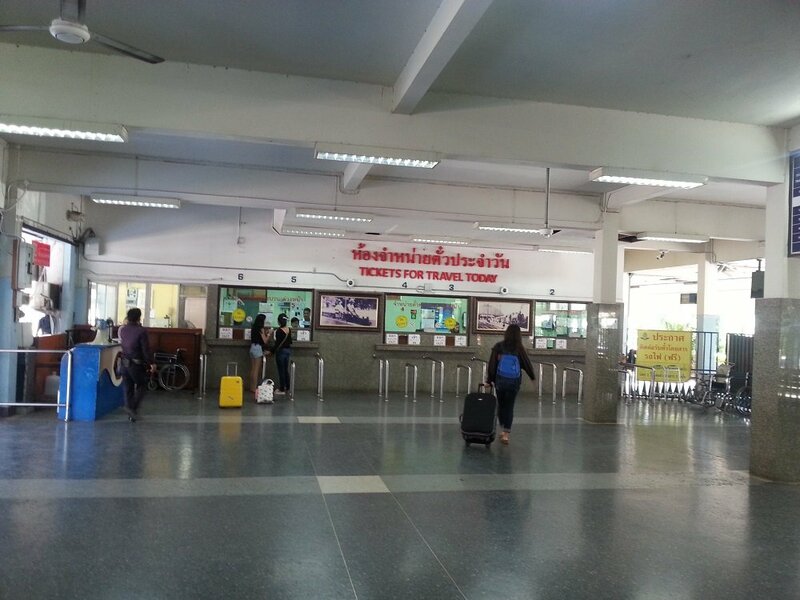 There are two sets of ticket counters at Hat Yai Train Station. Inside the station building, as you pass through the airport style security to enter, there are ticket counter for travel on the same day. There is also another set of ticket counters for Advanced Booking on Platform 1 where you need to go if you want to buy a train up to 60 days before you plan to travel. Advanced Booking is recommended for 1st and 2nd Class seats on intercity trains. You cannot book in advance for 3rd Class seats on ‘Ordinary’ train services. There are lots of ways to travel from Hat Yai train station to other destinations in Thailand. For travel within Hat Yai itself you have three options: taxi, taxi van and motorbike taxi. All three forms of local transport wait in front of the train station for passengers whenever an intercity train arrives. Expect to pay 40 to 60 THB for a journey by taxi van or motorbike taxi to Hat Yai bus station. For travel further afield you need to catch a minivan or bus. 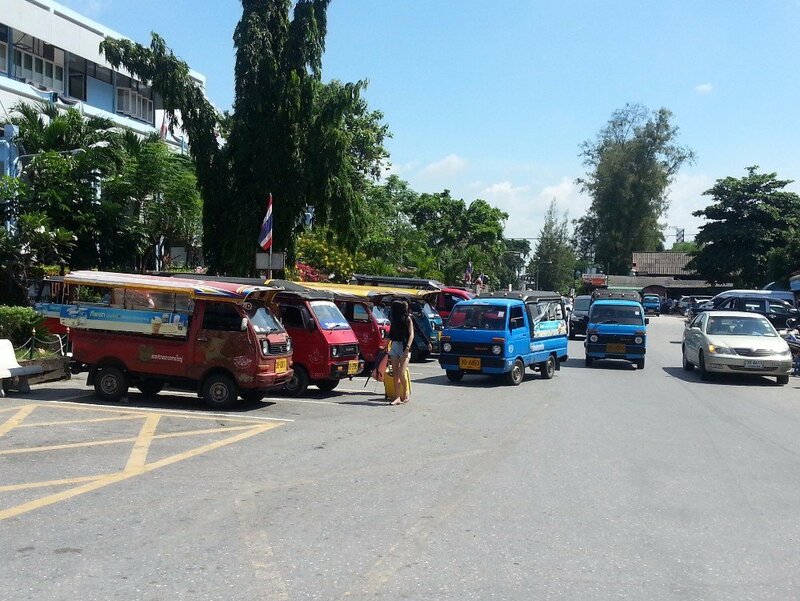 The majority of these minivan and bus services depart from Hat Yai bus station which is 2.9 km from the train station. There are however quite a few services which depart from the city centre, such services to Penang and Kuala Lumpur, and more easy still there are bus services to Koh Lipe which depart from the train station itself. Use the Search Box below to buy train tickets from Hat Yai to other stations on Thailand’s Southern Train Line. Simply enter your destination and date of travel and click to Find Tickets. All trains from Hat Yai to Bangkok depart in the afternoon and early evening.With the exception of Train #42, all these services have sleeper berths available. Trains # 36 and #38 are the most comfortable trains with 1st and 2nd A/C carriages. The slowest train is Train #170 which takes 18 hours 15 minutes to travel from Hat Yai to Bangkok. There are 6 trains per day from Hat Yai to Sungai Kolok. The journey takes between 3 hours 30 minutes (on Train #175) and 5 hours 02 minutes (on Train #447). The most comfortable trains are the two trains which originate in Bangkok: Train #171 departing from Hat Yai at 06:45, and Train #37 departing from Hat Yai at 07:35.